Kellogg’s UK has pledged to ensure 100 per cent of its electricity consumption will be from renewable sources by 2050. The cereal and snacks giant has joined forces with global industry platform RE100, a collective of influential businesses working to significantly increase the demand for – and delivery of – renewable energy worldwide. 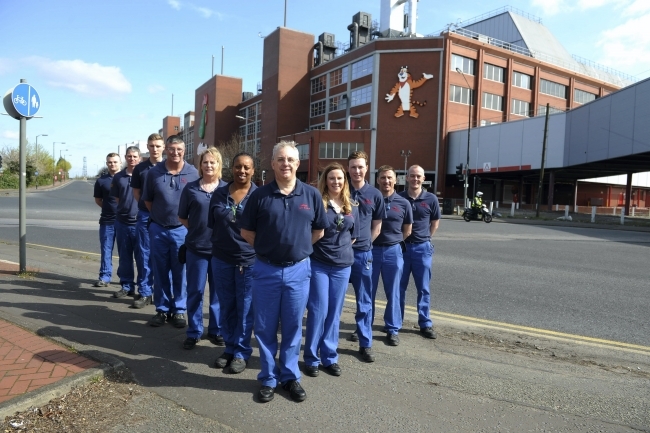 At the forefront of change, the company’s UK headquarters in Manchester was the first Kellogg’s location to begin purchasing 100 per cent renewable electricity from the local utility in 2016. Kellogg’s sites across Europe, Russia and Egypt have increased renewable electricity from one per cent to 70 per cent so far in 2017 through procurement activities. Currently in the UK the renewable energy sources Kellogg’s receives electricity from include wind, hydro, thermal and solar. Now Kellogg’s intention is to purchase 100 percent of its global electricity consumption from renewable sources of energy by 2050. Diane Holdorf, Chief Sustainability Officer at Kellogg’s, said: “Joining RE100 gives Kellogg’s the opportunity to showcase our leadership on climate action. “We hope to inspire others in our sector to follow our lead and do more to cut greenhouse gas emissions. Kellogg’s supports the United Nations Sustainable Development Goal #13 to take urgent action to combat climate change and its impacts. It was also one of the first companies with approved Science-Based GHG targets in 2015, committing to reduce direct Greenhouse Gas emissions by 15 percent (per metric tonne of food produced) by 2020 and 65 percent by 2050. The pledge to RE100 signals a further commitment from the cereal giant to deliver these energy and greenhouse gas emission reductions by 2020, as well as its 2050 Climate goals. RE100 is a group of the world’s most influential companies who have committed to 100 per cent renewable power. The collective works to accelerate the scale-up of renewable resource to deliver a healthier, more sustainable world for what will soon be nine billion people. Renewable electricity omits little to no greenhouse gas emissions, reduces air pollutants and reduces impact on water resources. It is also more efficient.